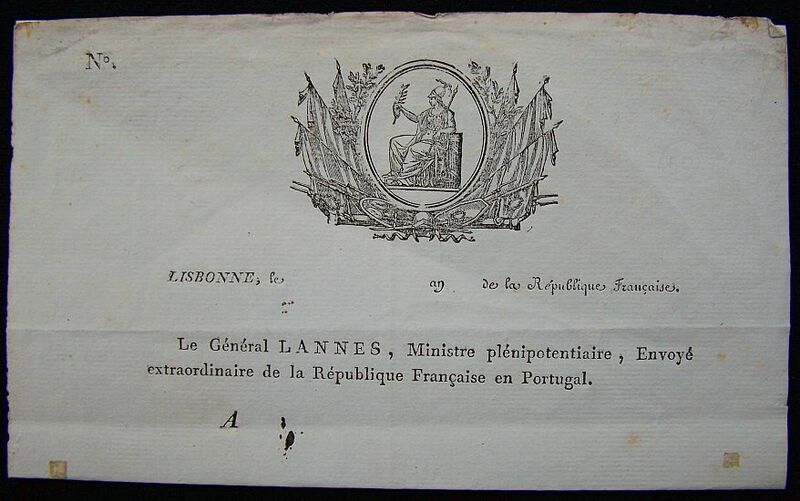 On behalf of the French People. 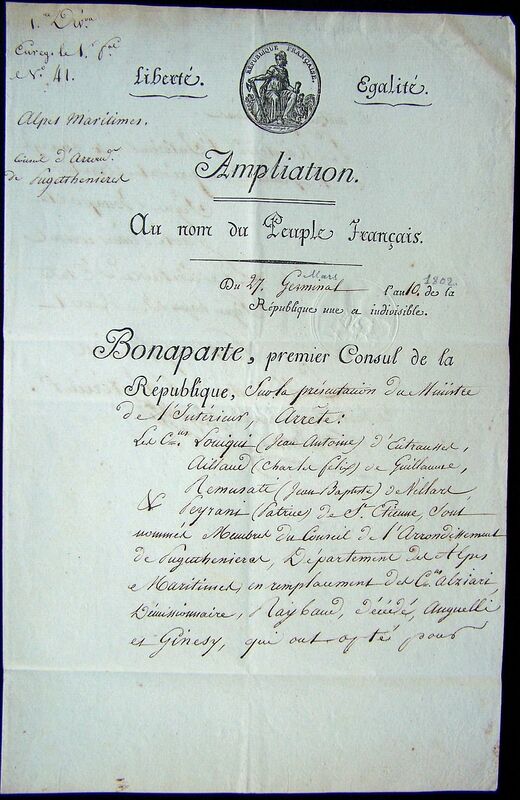 Bonaparte, First Consul of the Republic appoints the President Bidaulth legislator of the Criminal Tribunal of Siene and Maru for functions of Court Judge by the Senate in Paris. 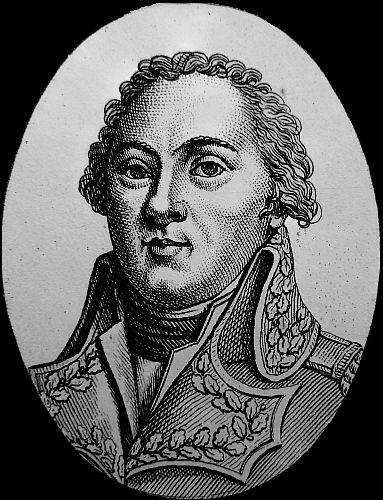 You will, citizen, hold at the disposal of Citizen Brascevich, my first interpreter secretary, 2,000 livres, for wages and other expenses relative to his duties. 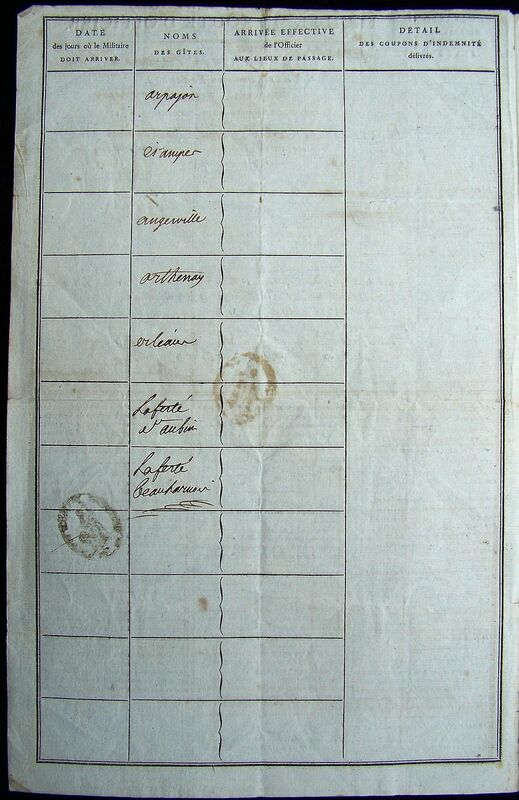 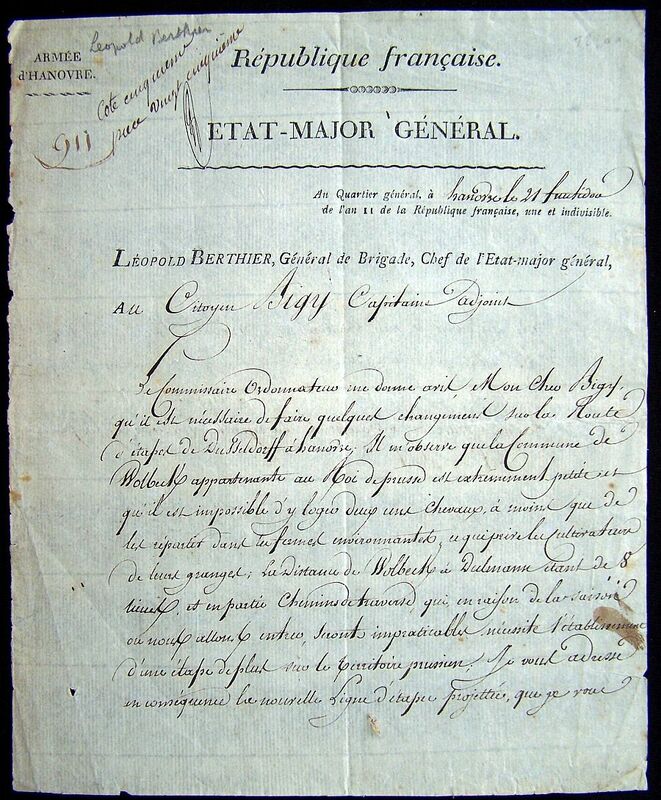 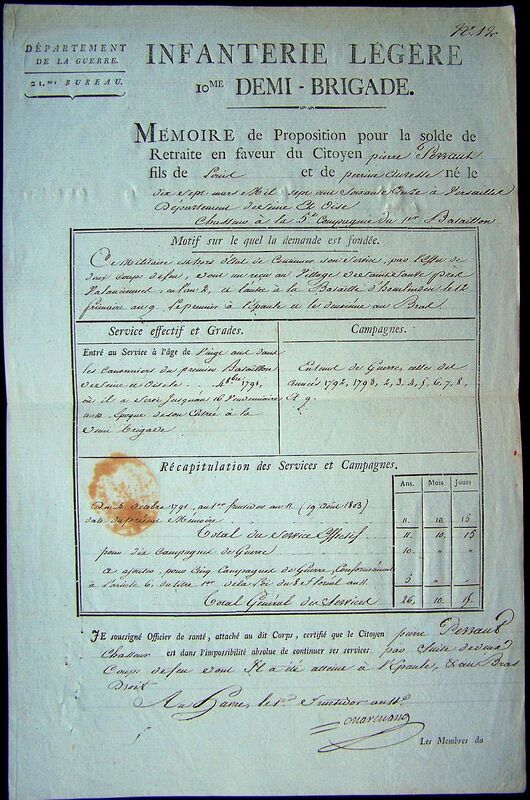 note: This document has the printed heading of the Consular Guard and dated the 19th of April 1800. 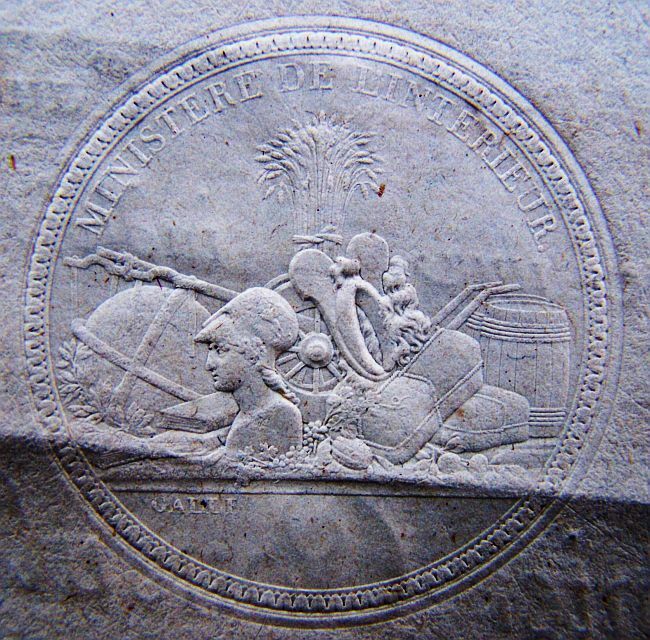 The Consular is the forerunner of the famous Napoleon’s Guard. 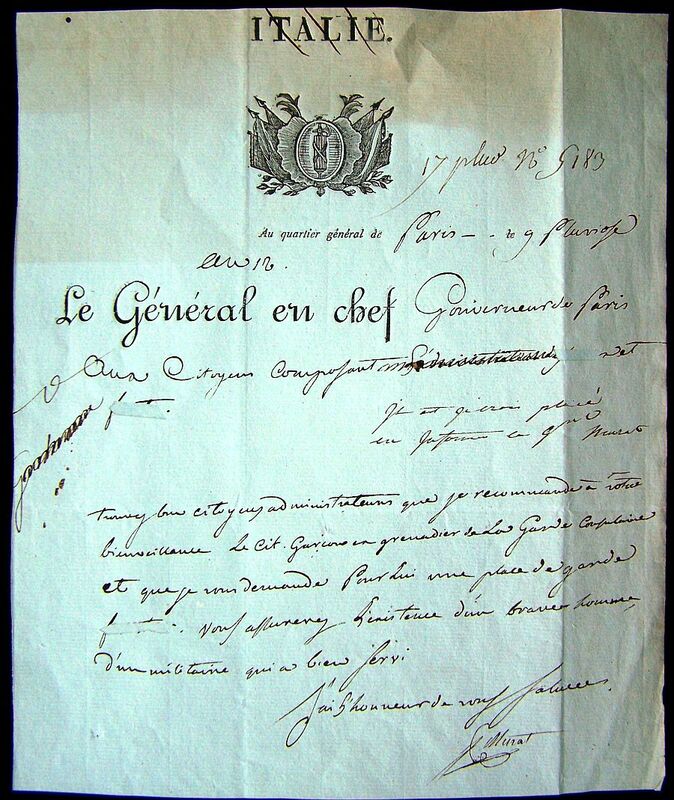 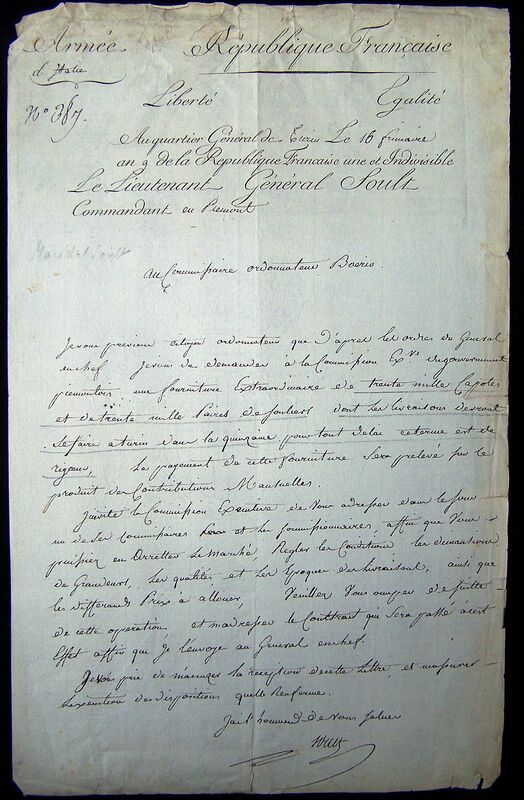 I have the honor to send you an enclosed copy of the commission of the Deputy Adjutant General Andrieu issued by my predecessor, the citizen Delmas, captain in the wake of the 33rd Brigade of the Line. 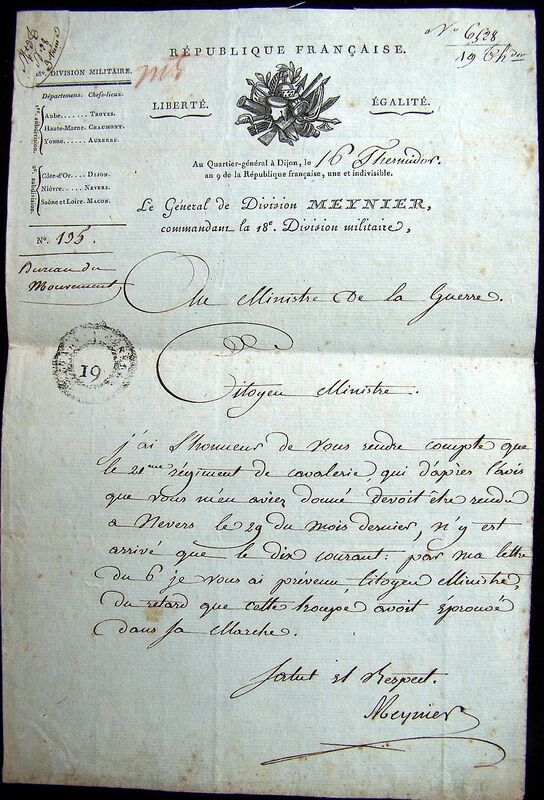 I have the honor to ask you for the confirmation of this choice, the officer was found in Genoa during the blockade of this place. 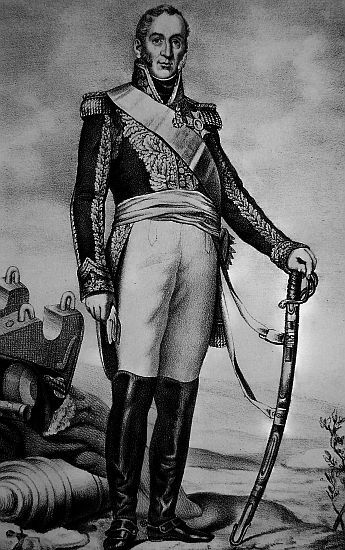 note: Jourdan was one of Napoleon’s Marshals. 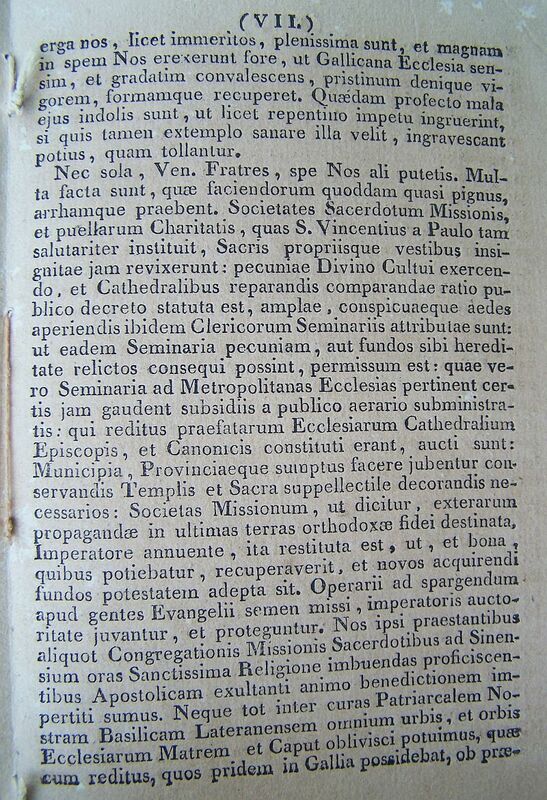 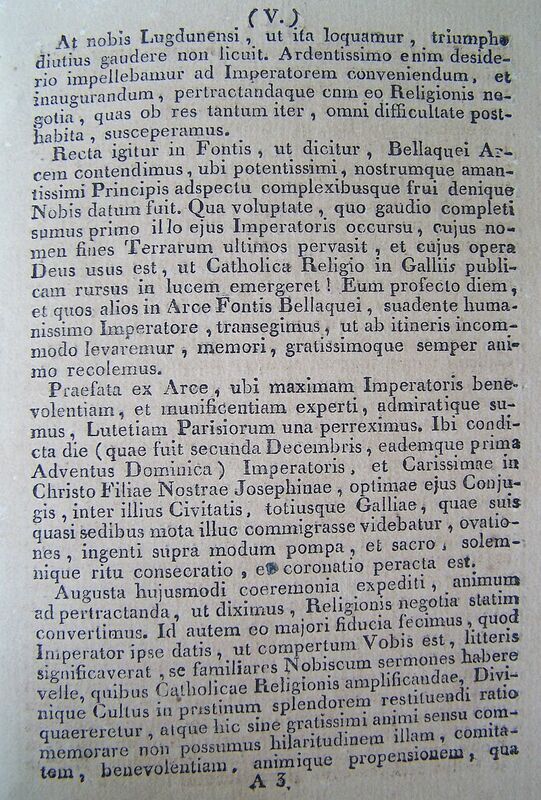 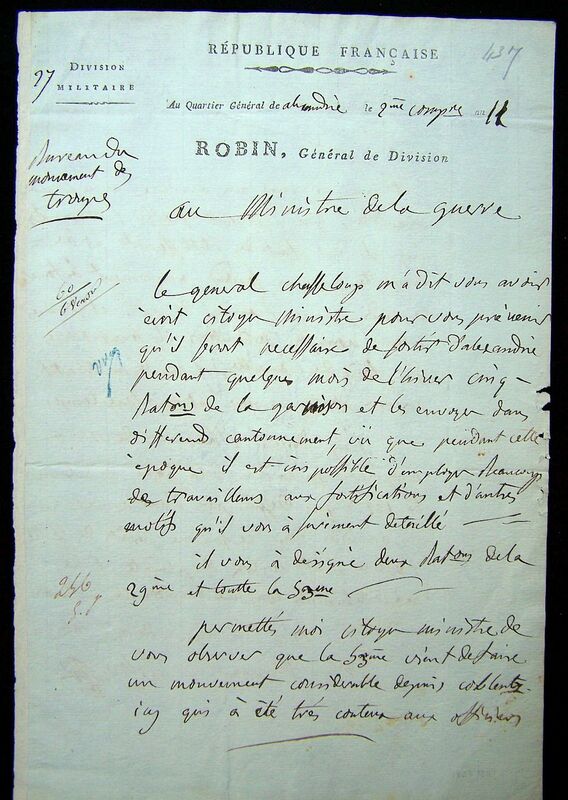 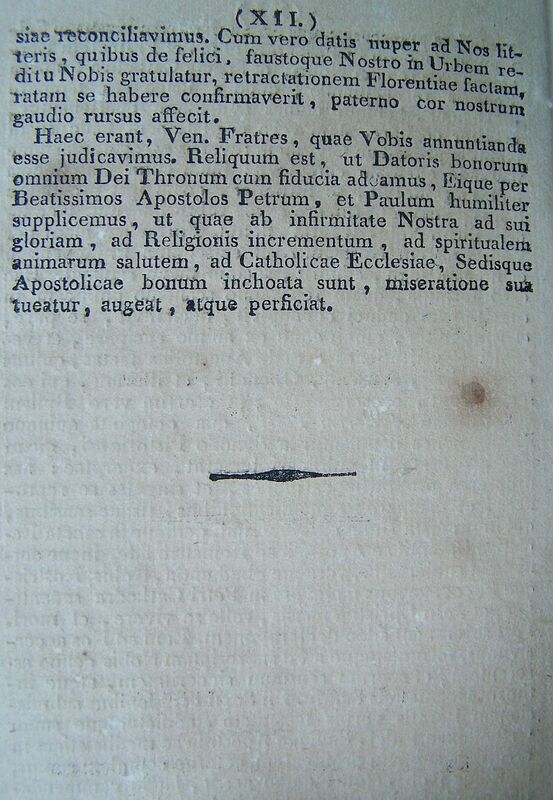 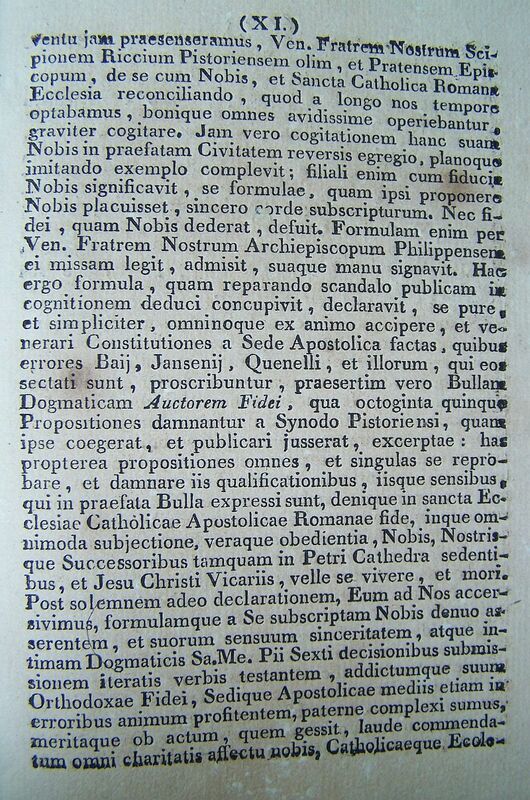 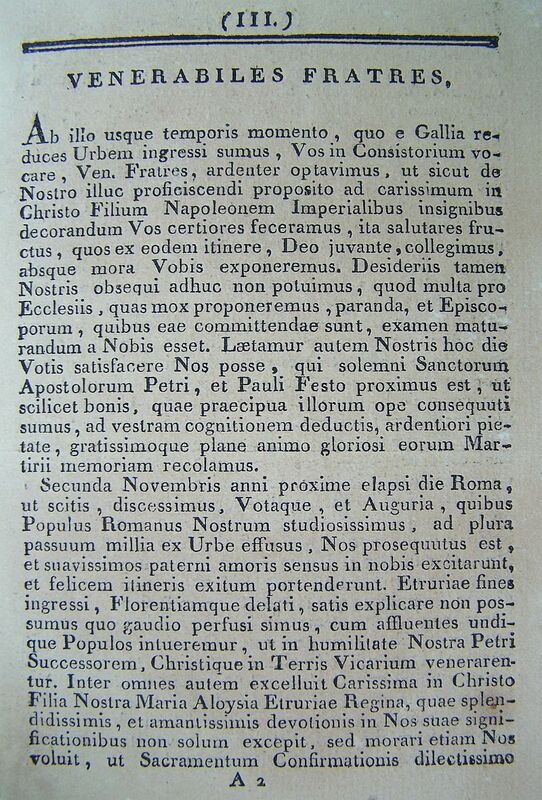 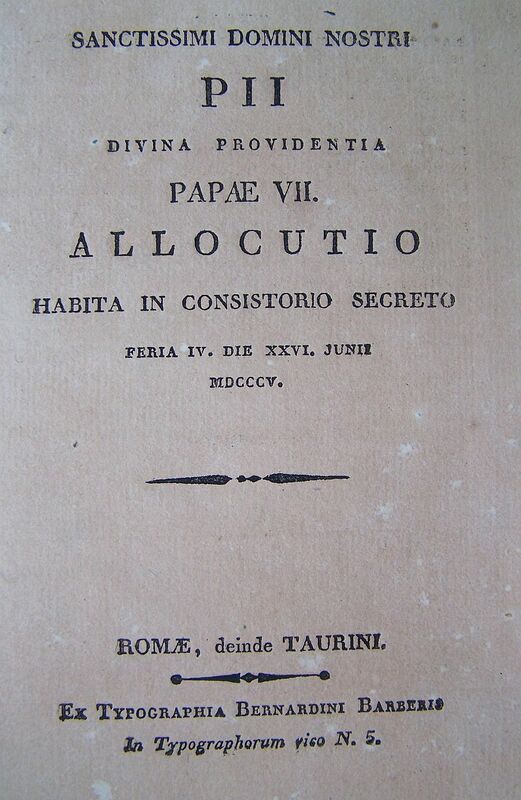 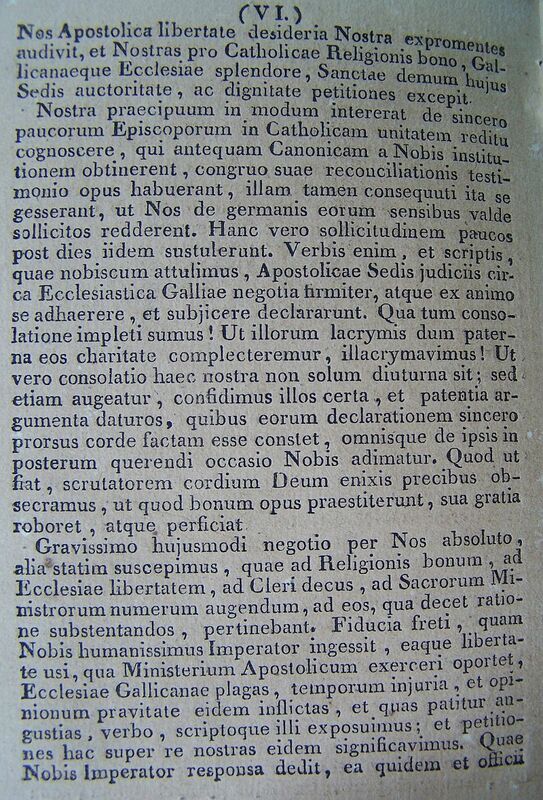 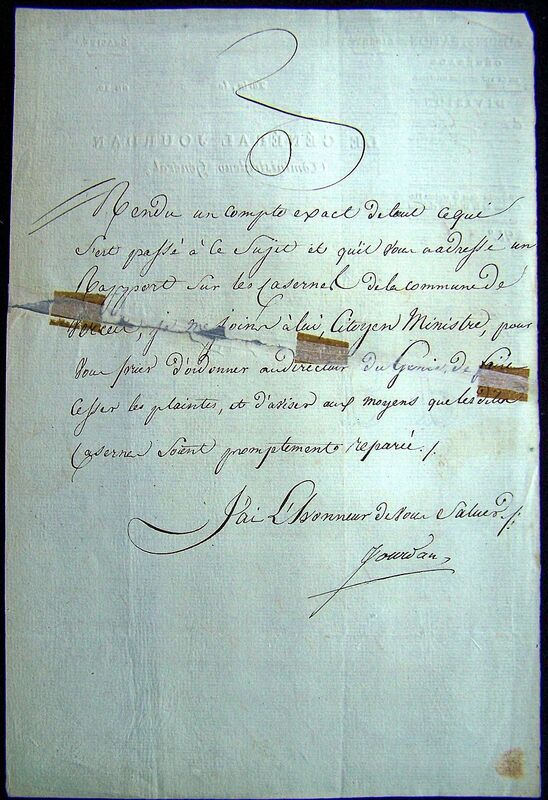 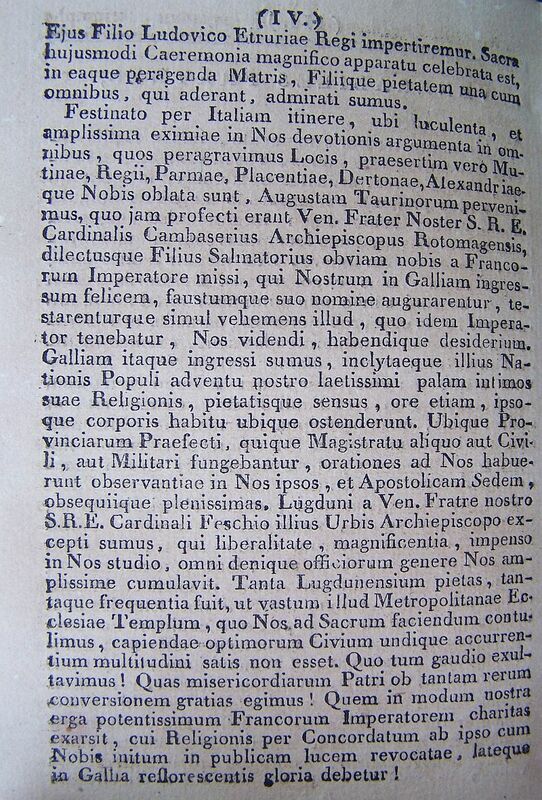 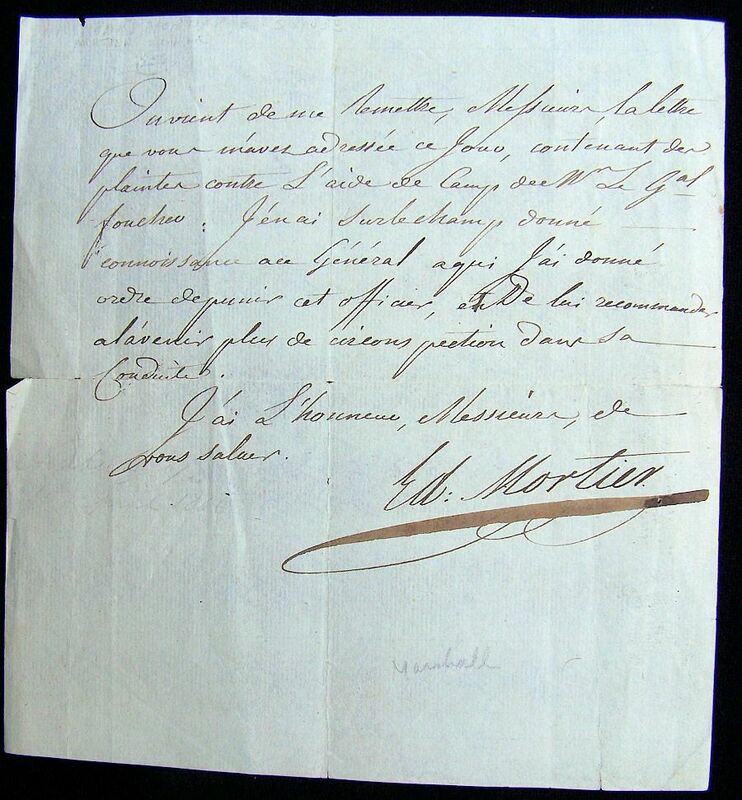 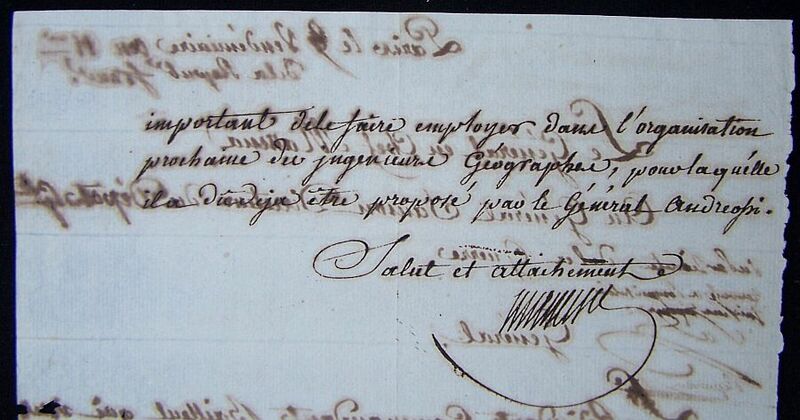 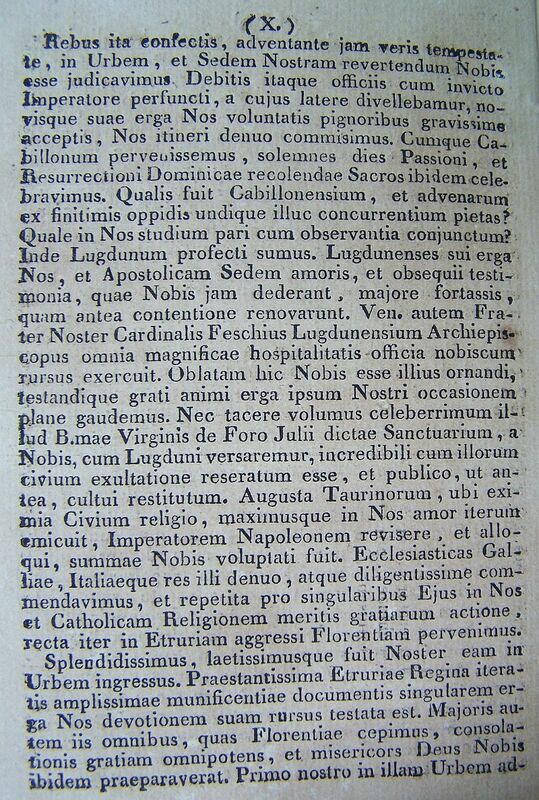 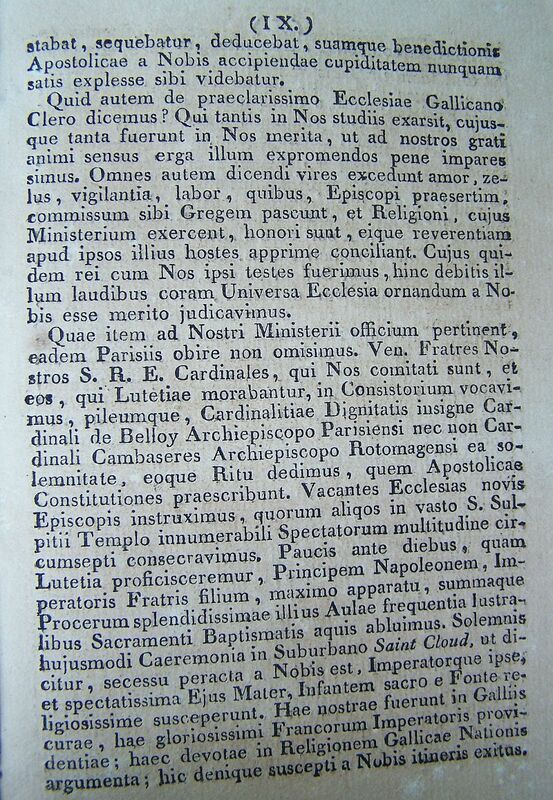 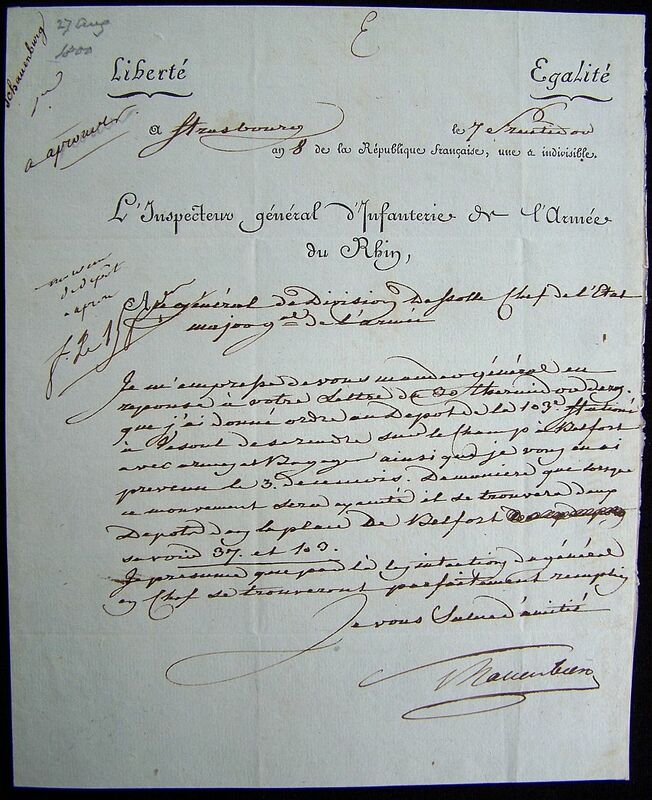 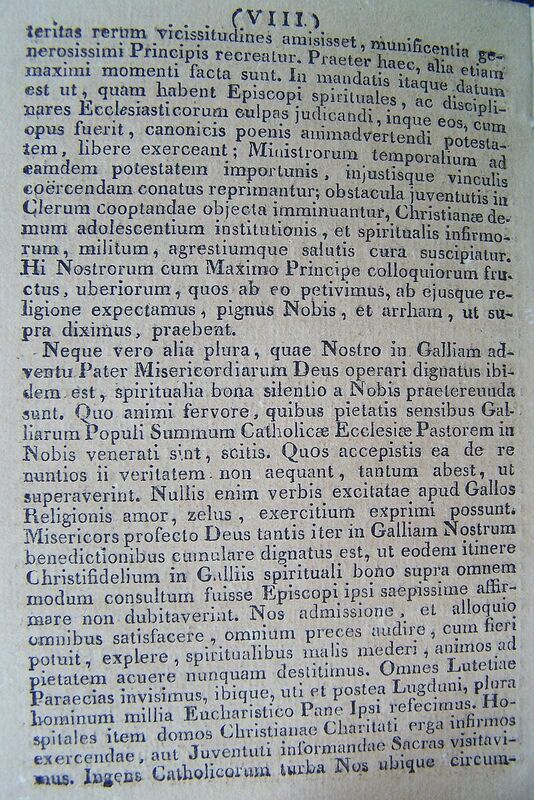 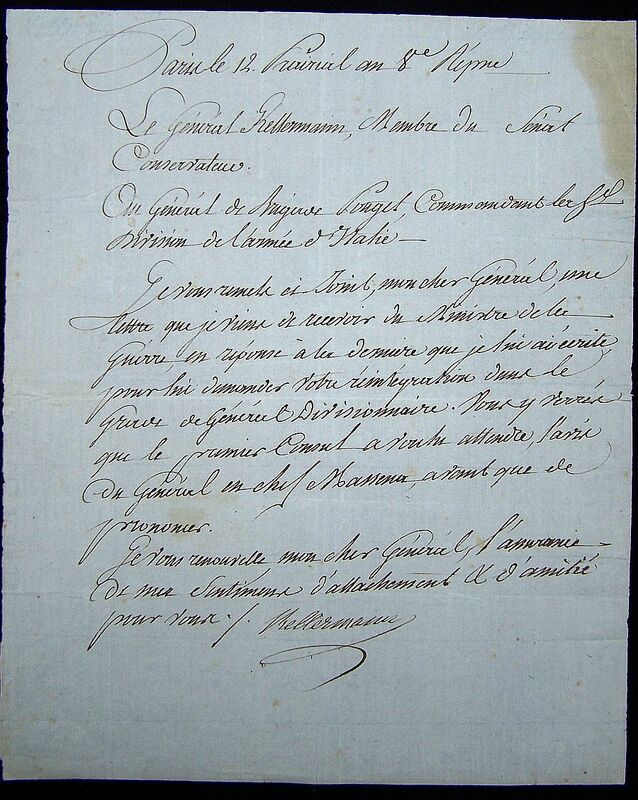 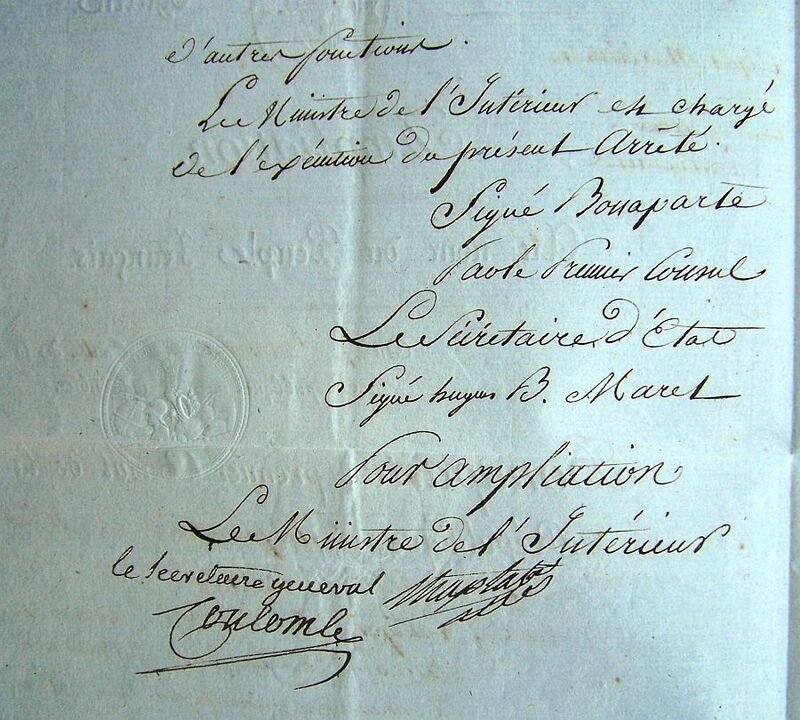 The document concerns war contracts in Piedmont and dated the 11th of September 1800. 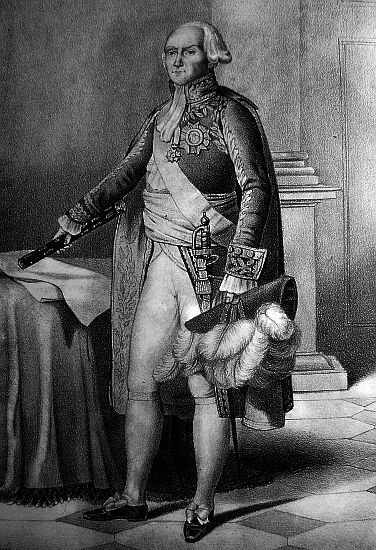 I expect you at one O’clock, citizen general, well have a chat together. 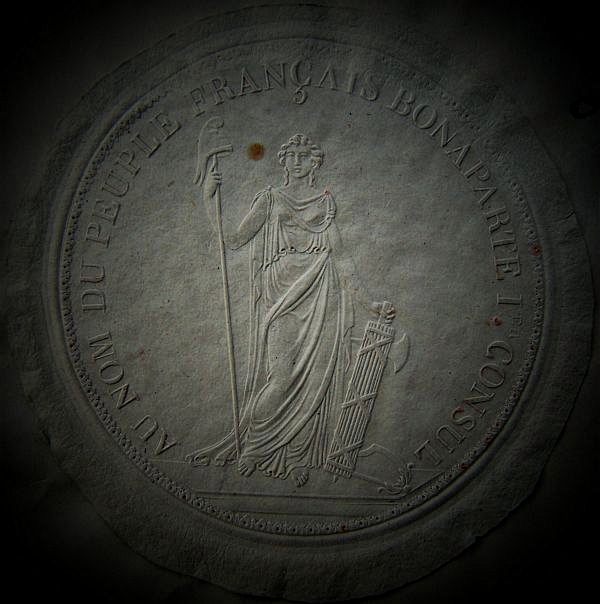 Paris, on the 12th Prairial, An 8 Rép. 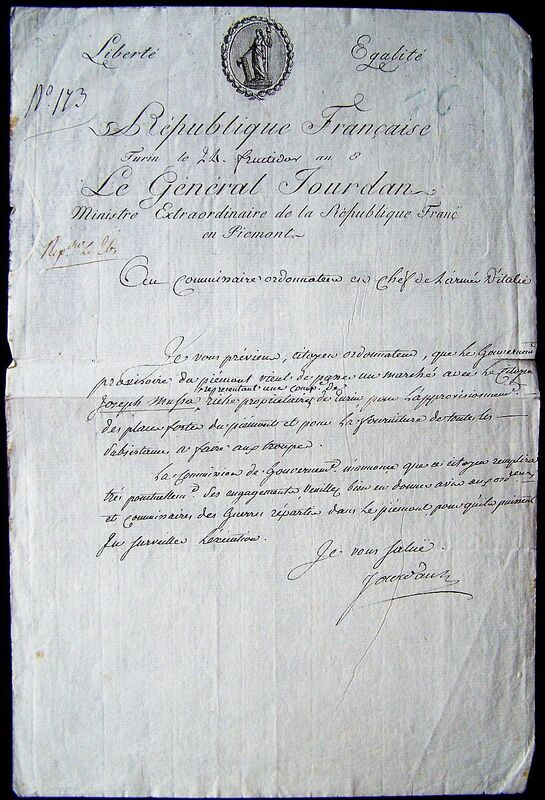 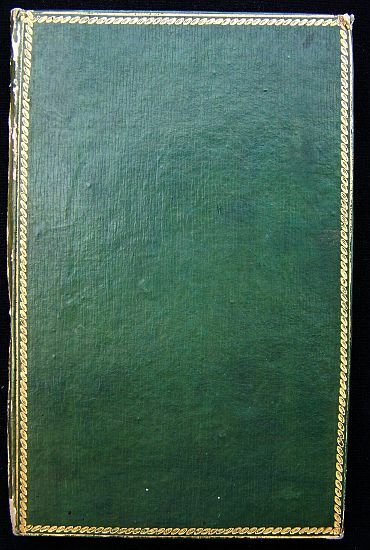 To Général de Brigade Pouget, Commanding the 8th Division of the Armée d’Italie. 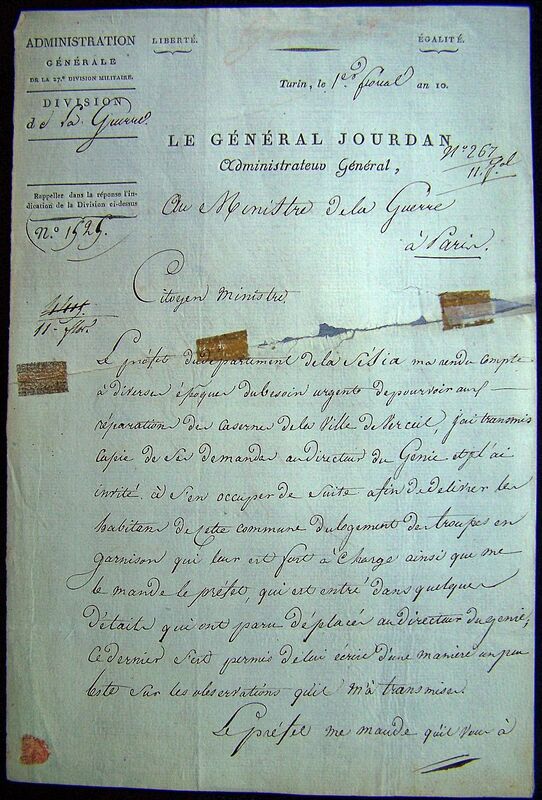 I forward you enclosed, my dear Général, a letter that I have just received from the Minister for War in answer to the last I wrote to ask him your reinstatement in the rank of Général Divisionnaire. 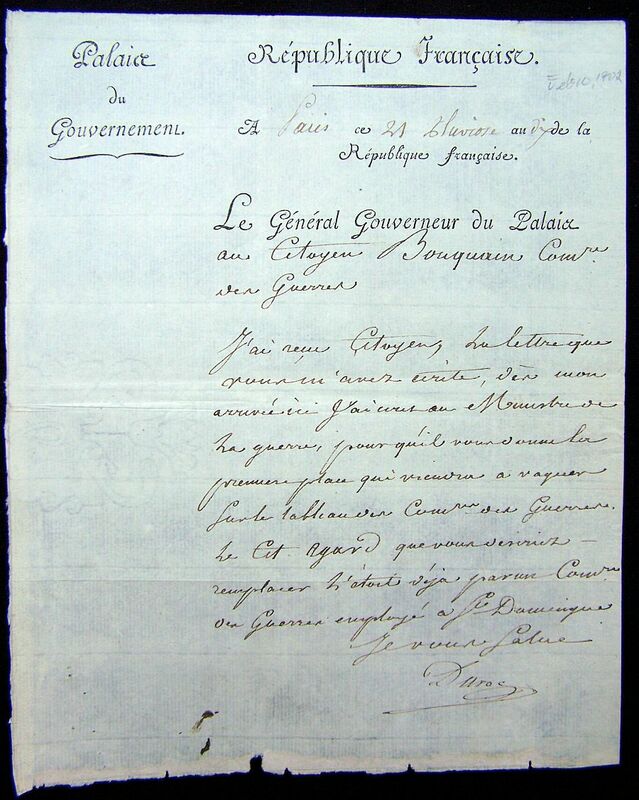 You’ll read there that the Premier Consul has decided to wait for the opinion of Général en Chef Massena before making a decision. 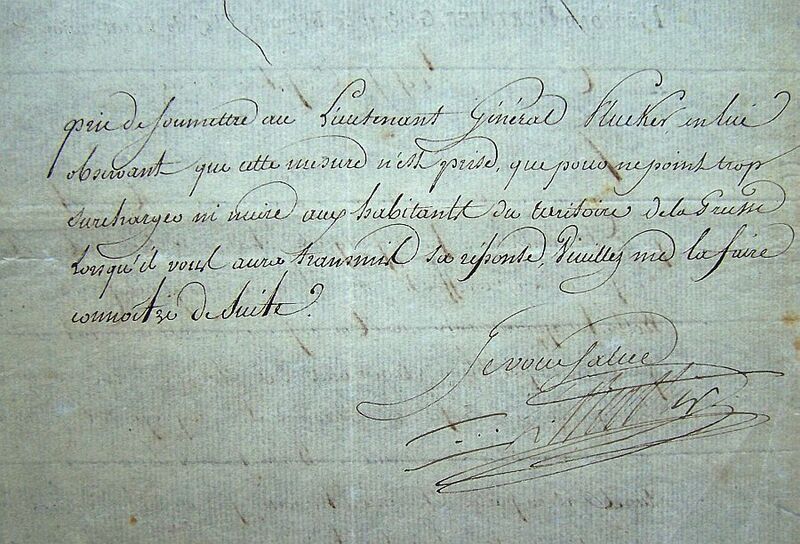 I renew, my dear Général, the assurance of my feelings of affection and friendship towards you. 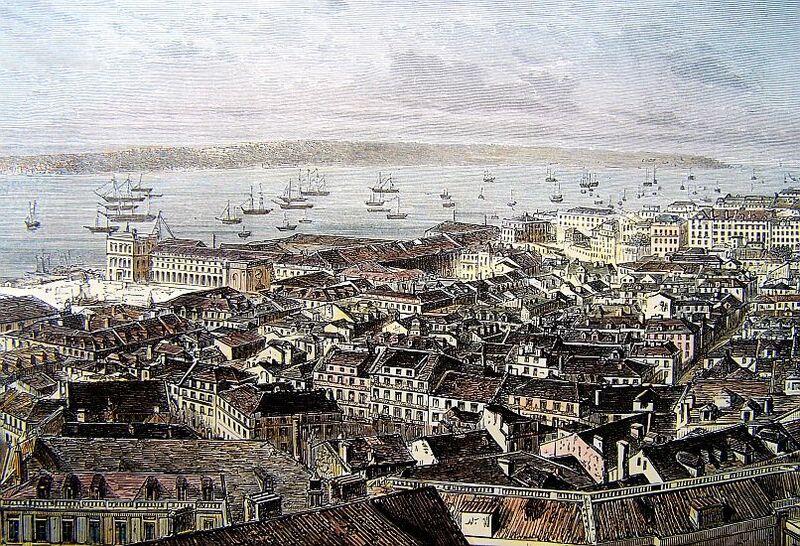 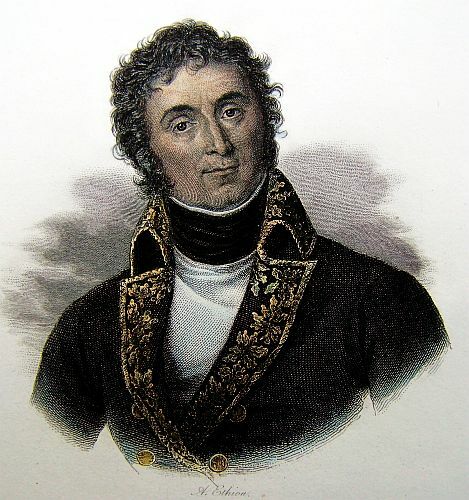 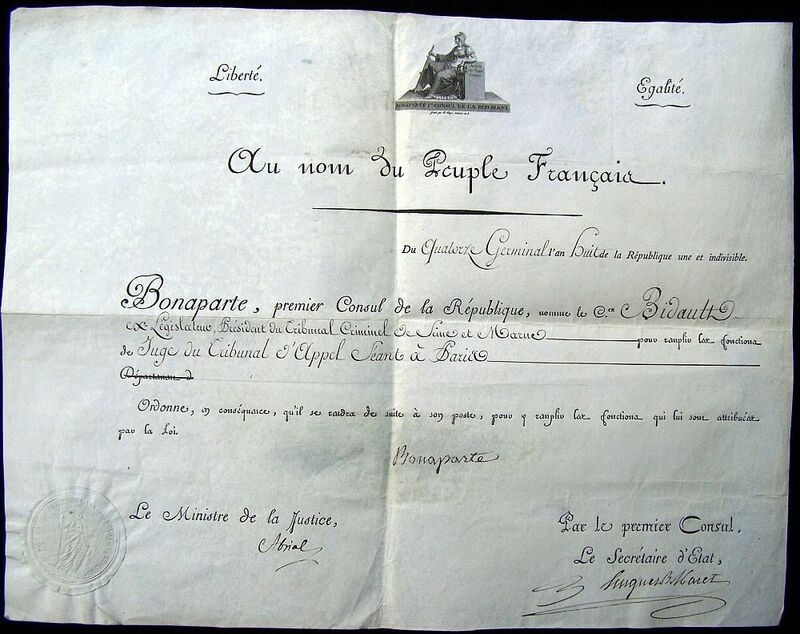 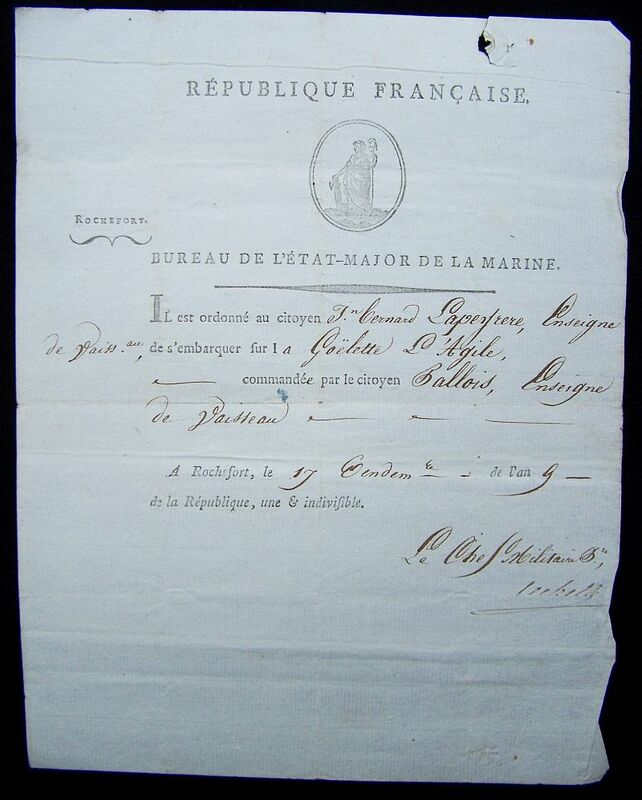 It is ordered to citizen Jean-Bernard Lapefrere Sub Lieutenant, to embark on board the schooner L’Agile, commanded by citizen Gallois, Sub Lieutenant. 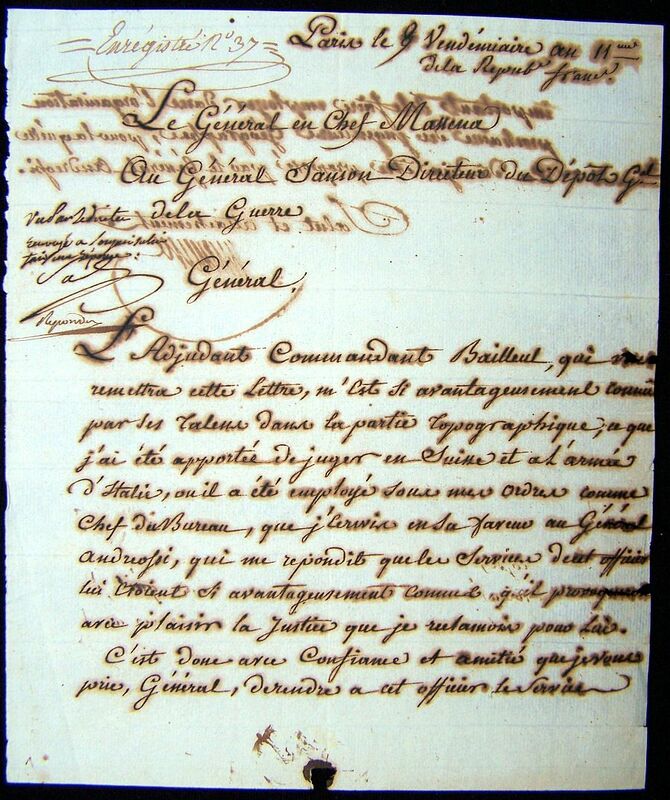 note: The French navy suffered during the Reign of Terror with many naval officers being guillotined. 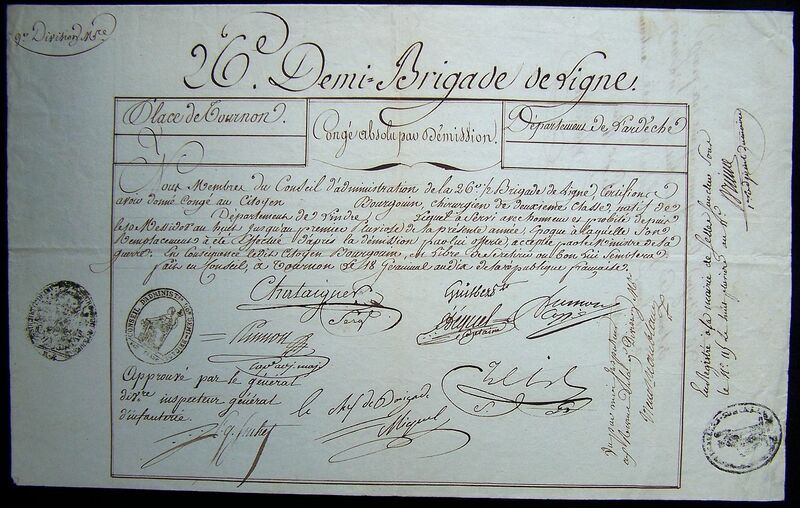 note: This document concerns cavalry matters and dated the 4th of August 1801. 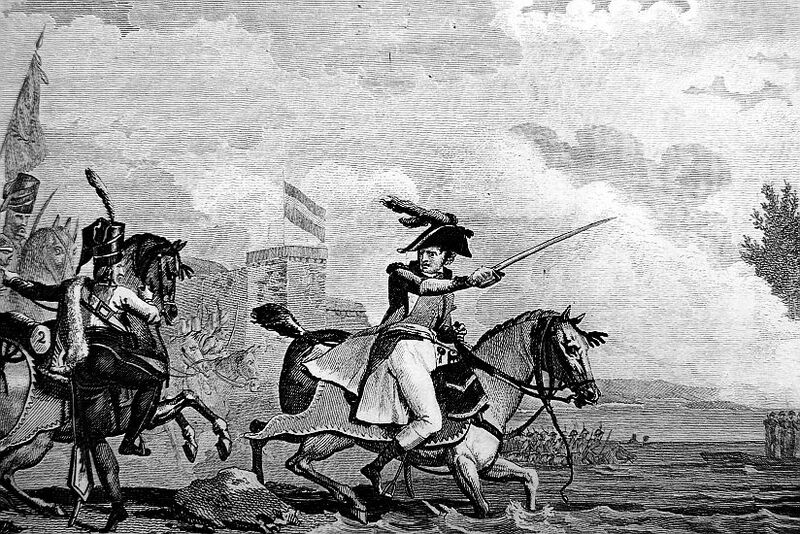 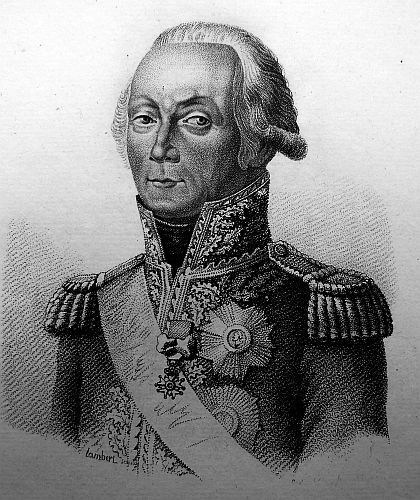 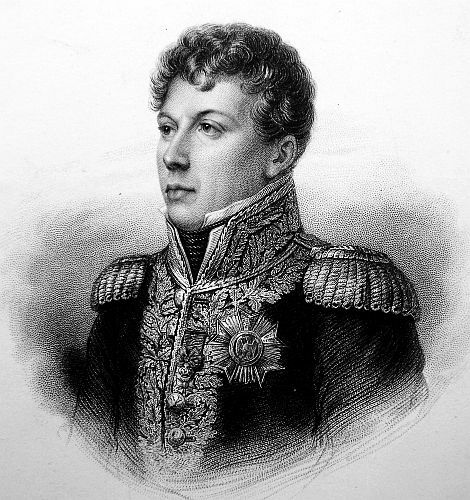 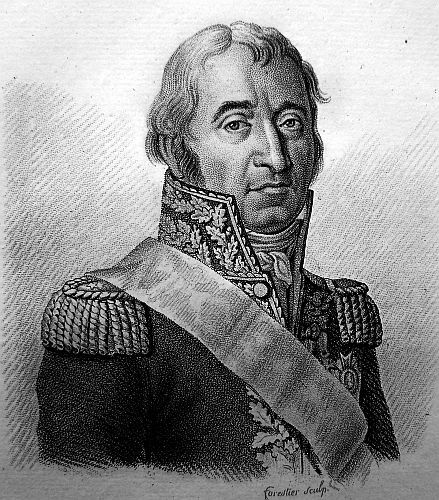 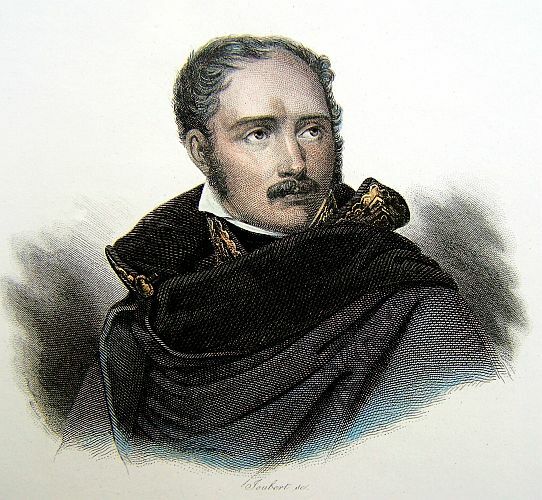 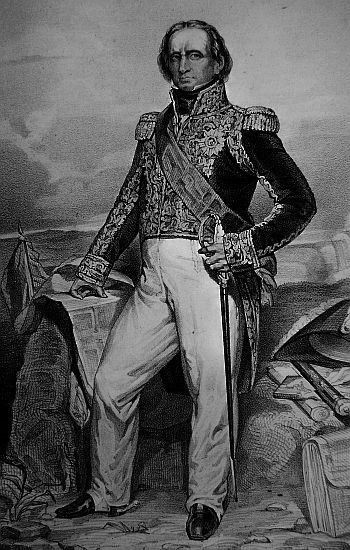 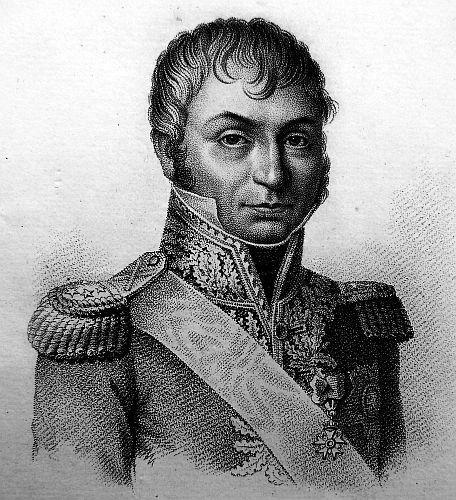 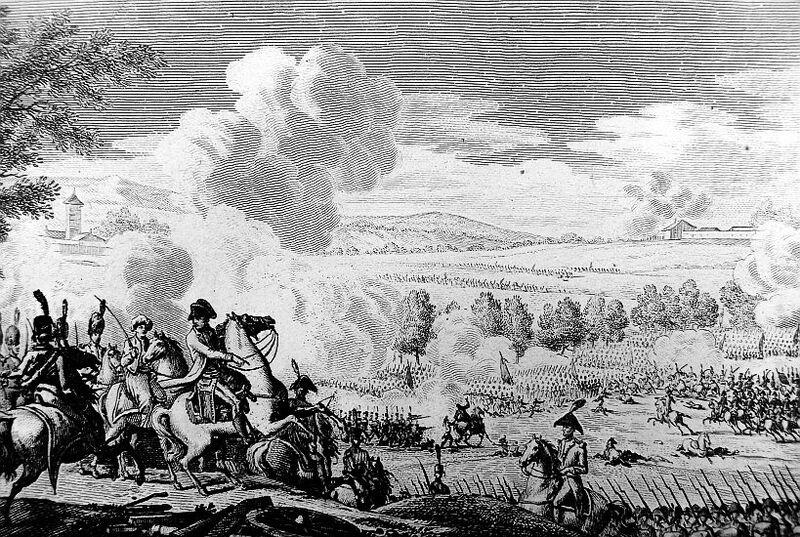 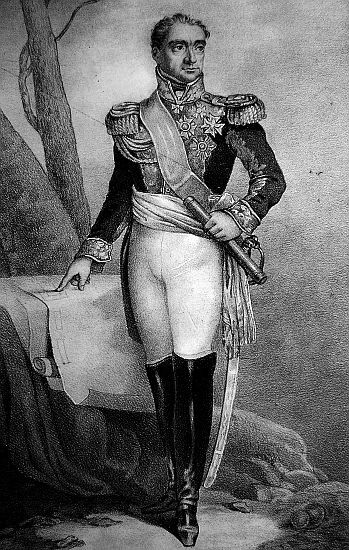 Meynier would be with Lannes at the battle of Dego. 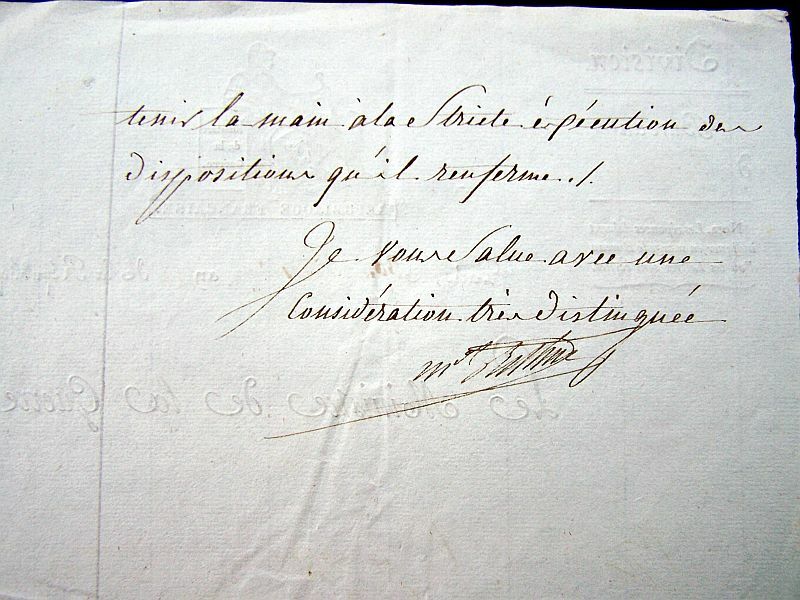 General Chasseloup told me he wrote you, citizen minister, to warn you it would be necessary to get out of Alessandria for a few winter months five battalions of the garrison and send them to various cantonments, as during that period it is not possible to use many workers for the fortifications, and other motives detailed to you. 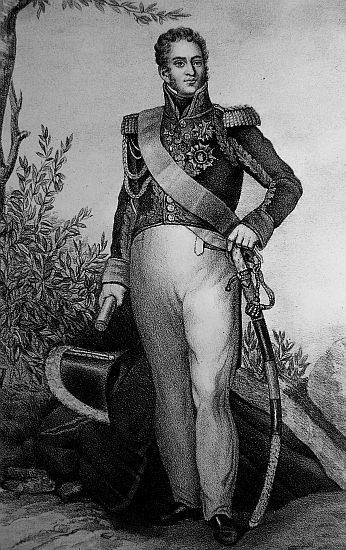 He designated to yo two battalions of the 29th and the whole 53rd. 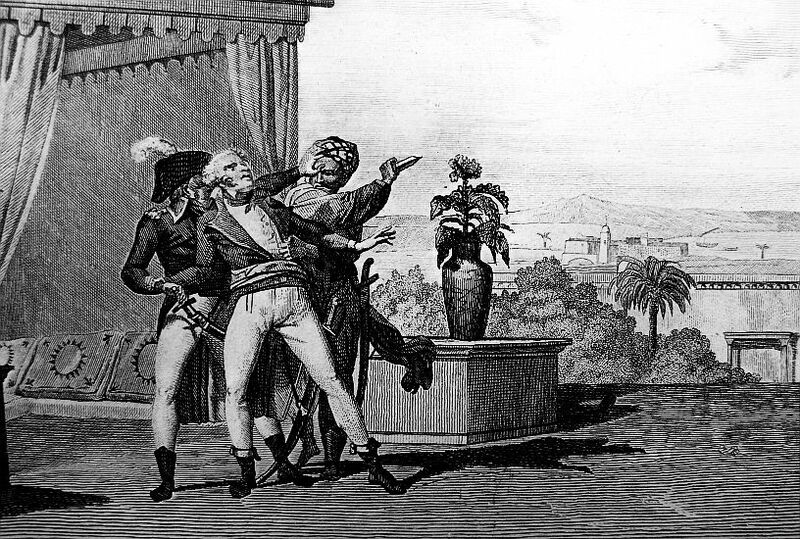 Allow me, citizen minister, to point to you that the 53rd has just made a considerable move from Coblenz, that has been very costly to the officers and has indebted many of them, who thought they would be spending winter here, have made establishments and purchases, and that a new move would force them to sell much loss, and at their new destination, they would have to make other purchases, which would indebt them even more and for a long time. 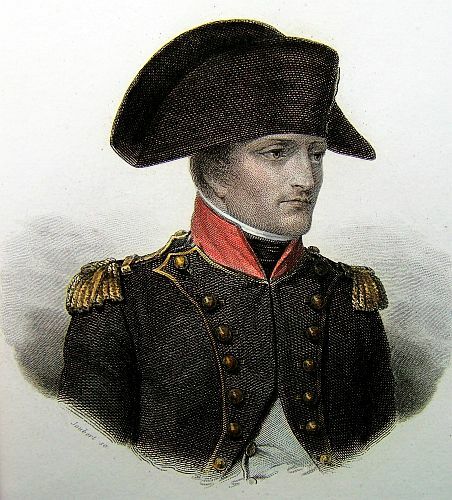 Hence I have the honour to propose you, rather than the 53rd, to detach the 102nd that for over a year have been garrisoned here, which seems to me very fair, and avoids complaints and resentments always harmful to the service. 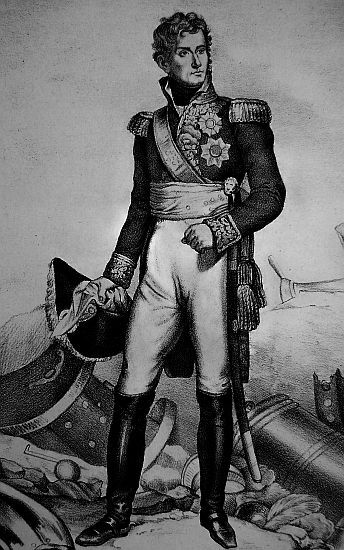 I have the honour of saluting you respectfully. 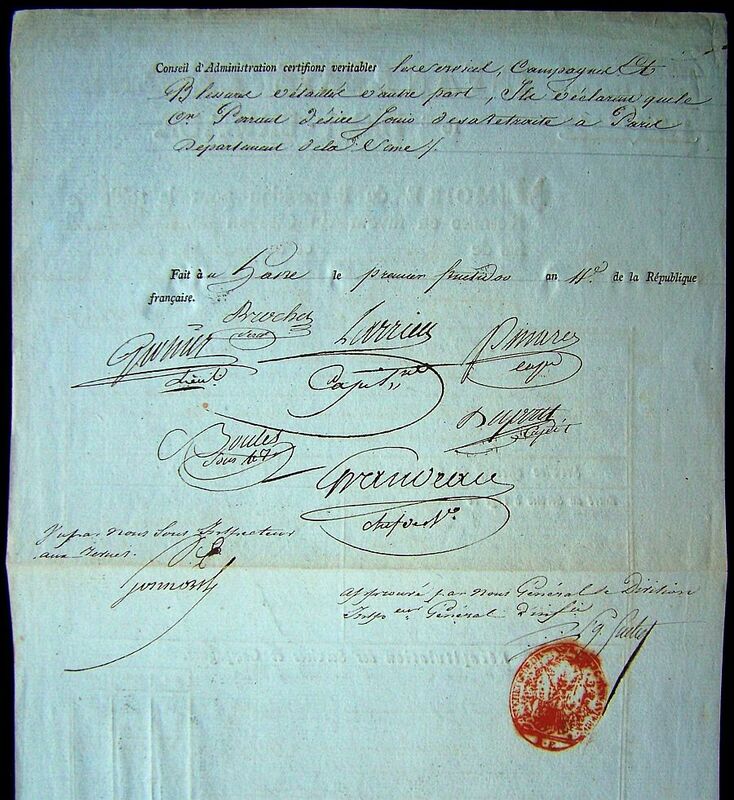 I have received, Citizen, the letter you have written to me, as soon as I have arrived here I have written to the Minister of War so that he gives you the first place that will come to be available on the ledger to the Commissars of Wars. 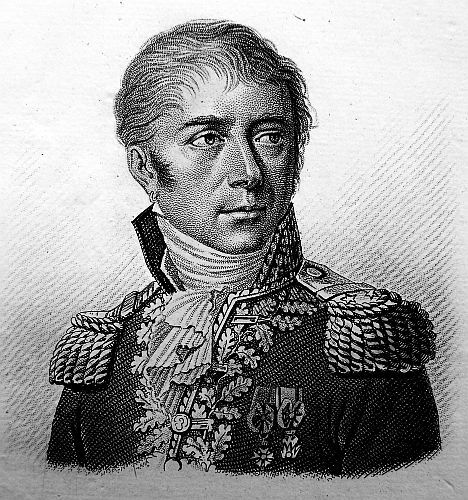 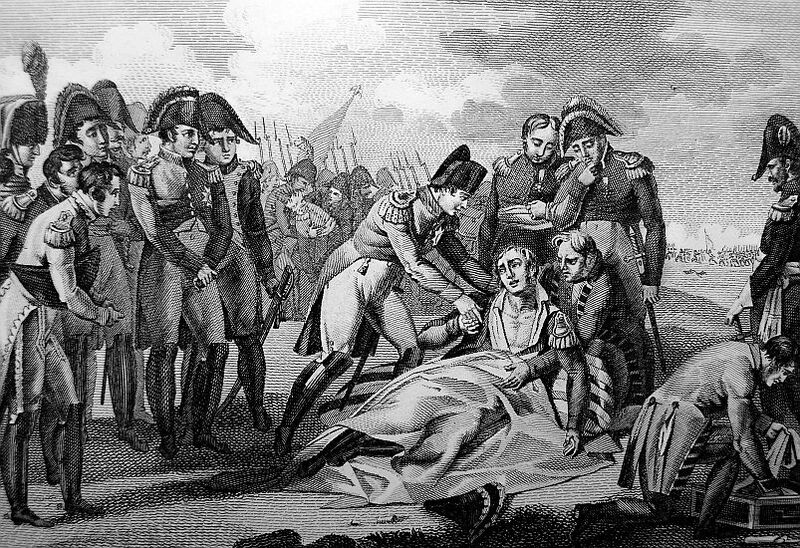 Citizen Agand, whom you were keen to succeed to, was already replaced by the Commissars of Wars employed at St. Dominique. 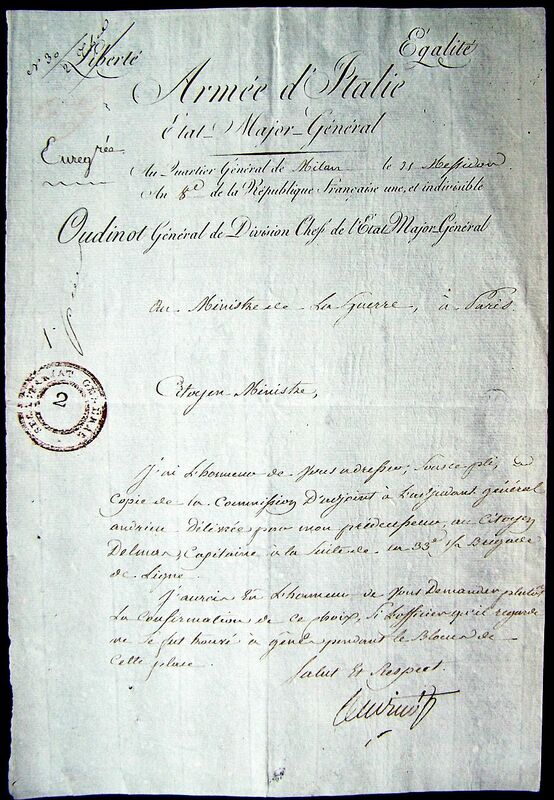 We, the members of the Administration Council 26th Half-Brigade of the Line, certify having given his discharge to Citizen Bourgouin, second class surgeon, born in the department of Indre, who has served with Honor and Integrity since the 10th Messidor year eight to the first Pluviose of the present year, at which time his replacement has been carried out further to his offering his resignation, accepted by the Minister of War. 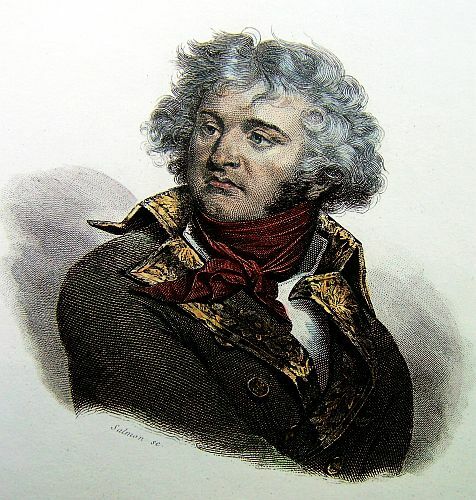 As a consequence, the said Citizen Bourgouin is free to retire where ever he feels like. 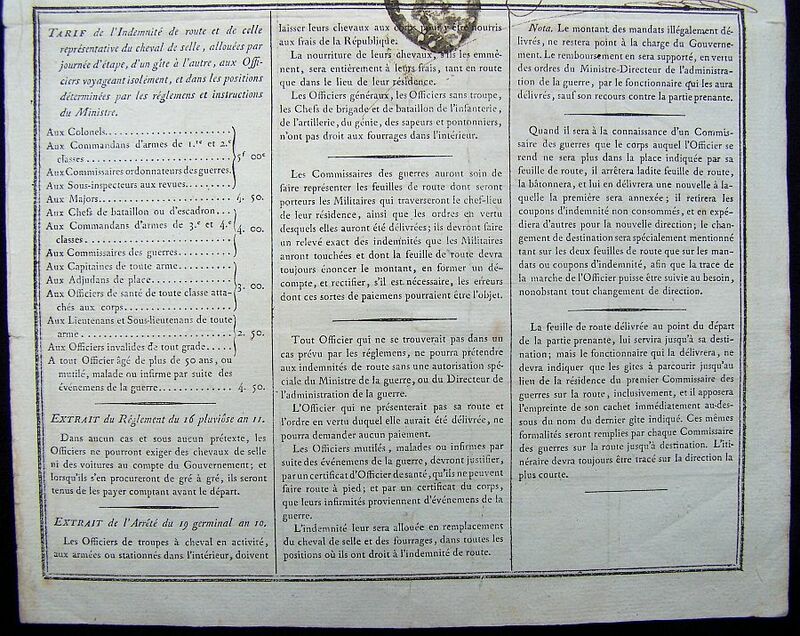 Done in council, at Tournon, on the 18th Germinal year ten of the Republic of France. 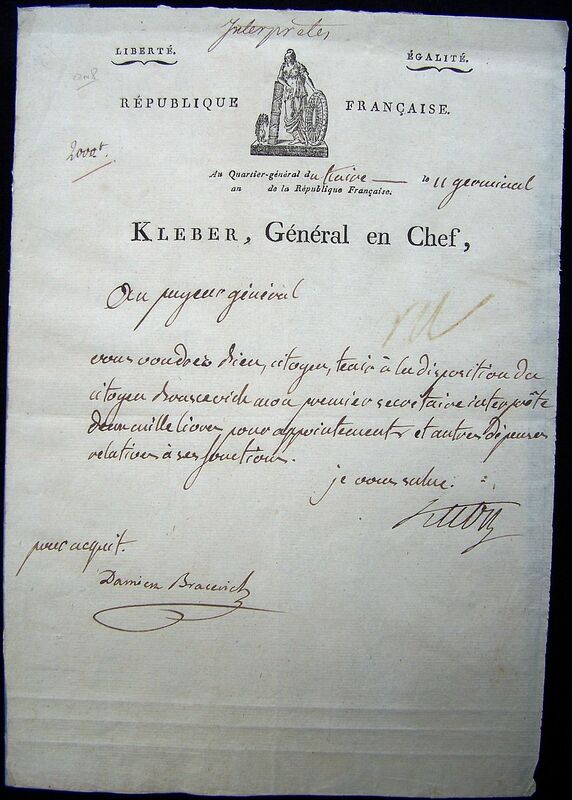 To General Sanson, Director of the General Depot of War. 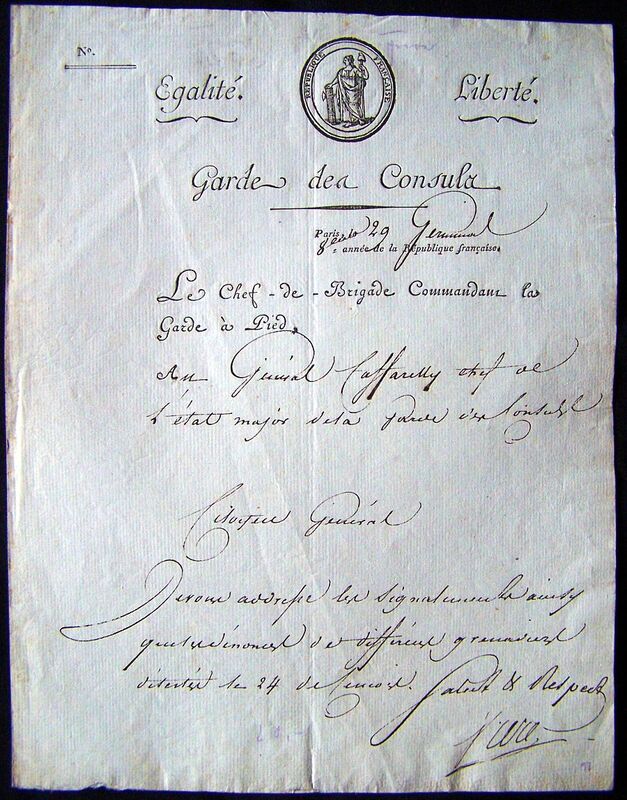 The Adjutant Commandant Bailleul, who will present to you this letter, is so favorably known to me because of his talents in the topographical department, on which I had an opportunity to form an opinion in Switzerland and in the Army of Italy where he was on active service under my orders as Chief of the Bureau, that I wrote in his favor to General Andreossi, who replied to me that the services of this officer were so favorably known to him that he would with pleasure aid in securing for this officer the justice that I demand. 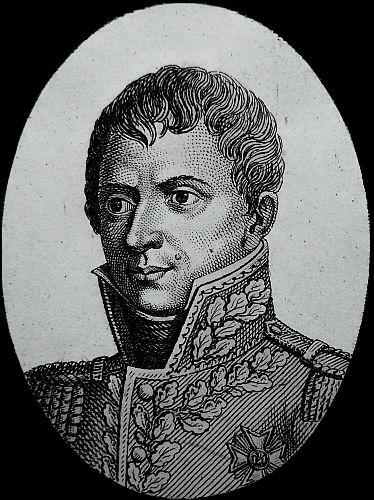 So, with confidence and Friendship, General, I pray you to do this officer the important service of causing him to be assigned to the approaching organization of the geographical engineering department, for which he must already have been nominated by General Andreossi. 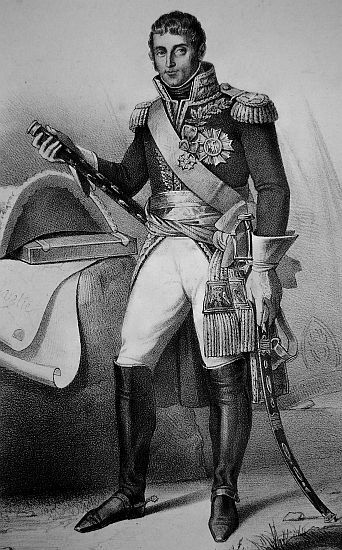 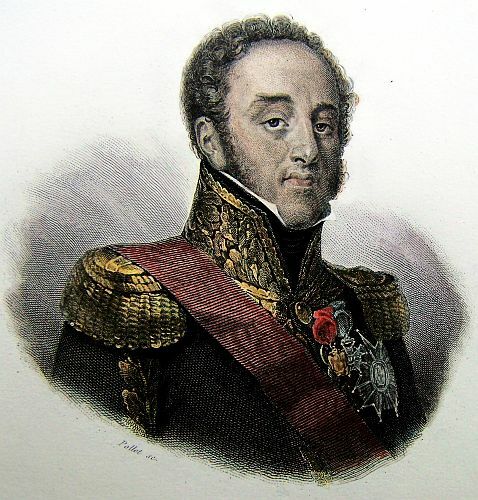 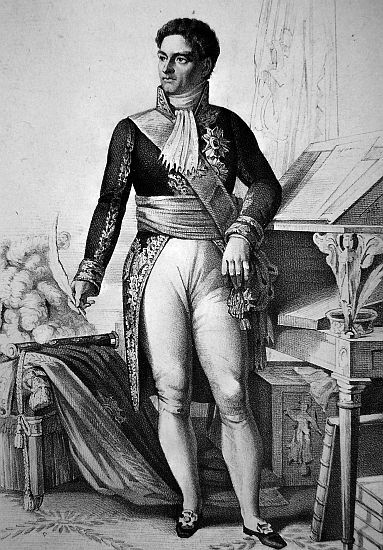 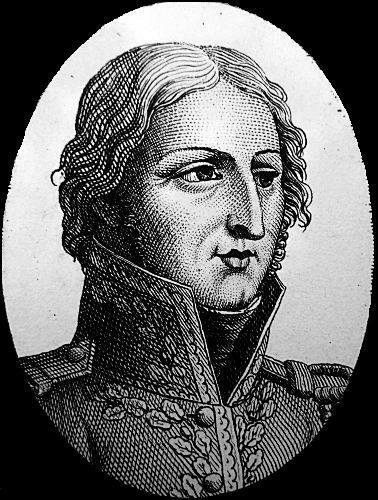 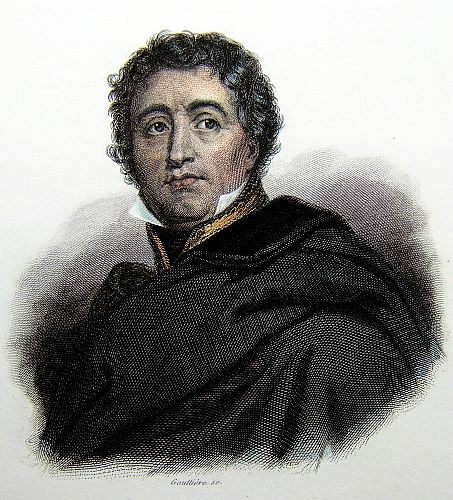 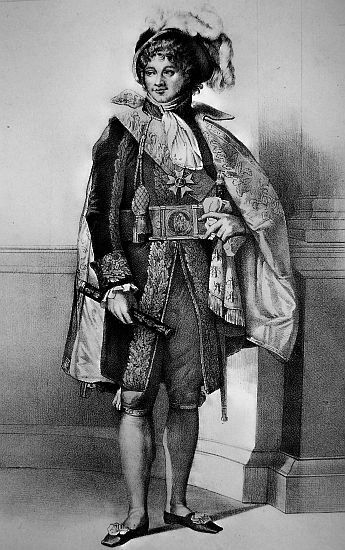 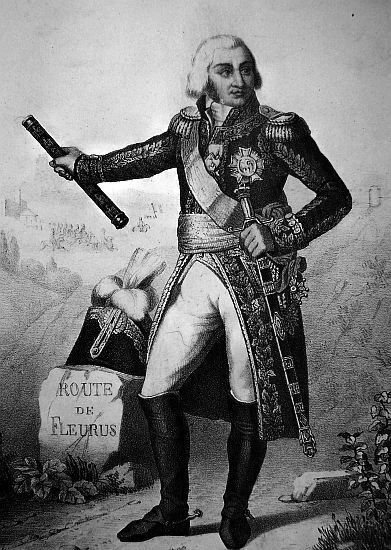 I have just been given, Messieurs, the letter you have addressed me today, withholding complaints against the Aide-de-Camp of Monsieur le Général Foucher : I have at once informed the Général of it, and I have ordered him to punish that officer, and to advise him to act more circumspectly in the future. 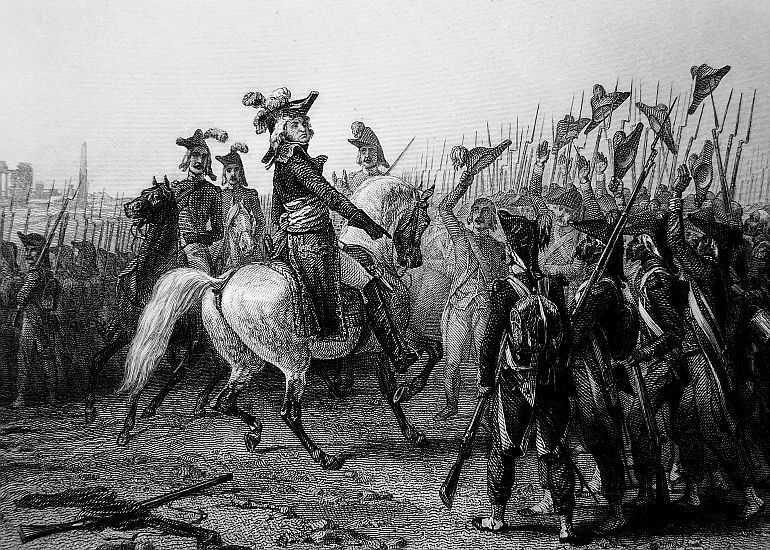 I have the honour, Messieurs, of saluting you. 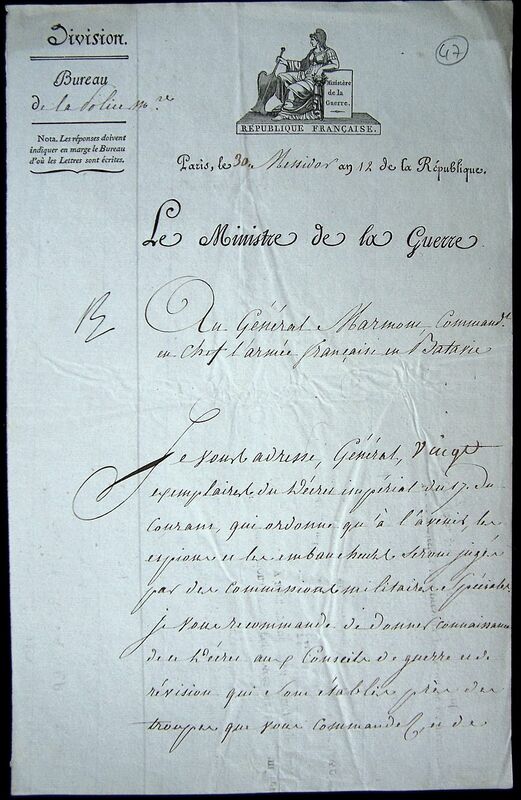 …proposal for the balance of retirement in favor of Pierre Perraut citizen [.] 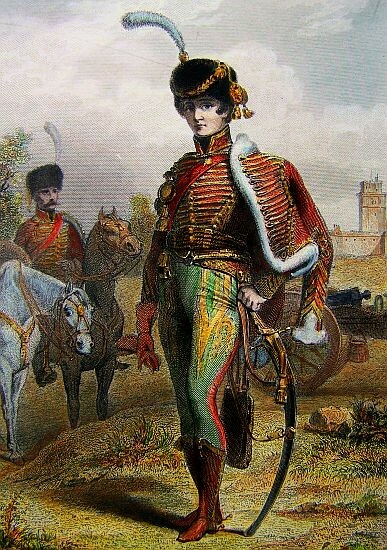 chasseur in the 5th company of the 1st battalion. 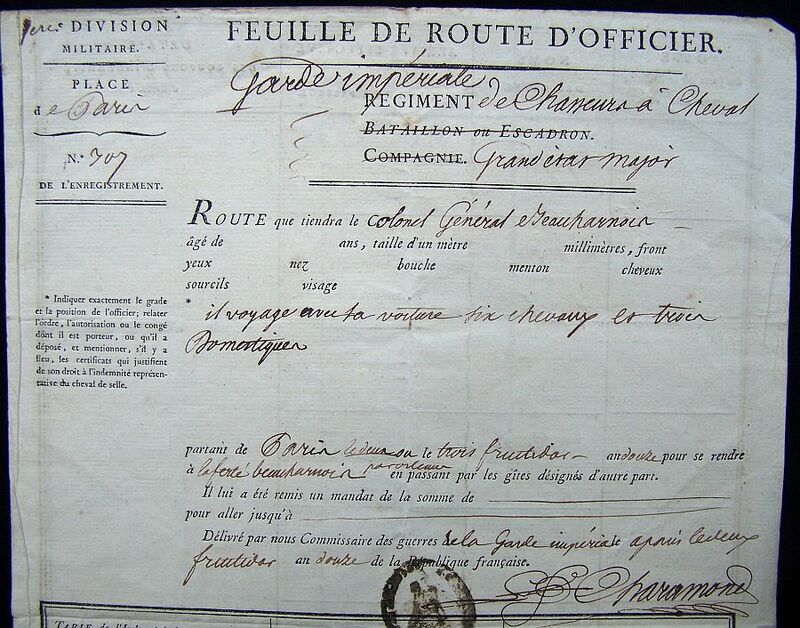 Exposed his service and the reasons for his retirement (two injuries from shot). 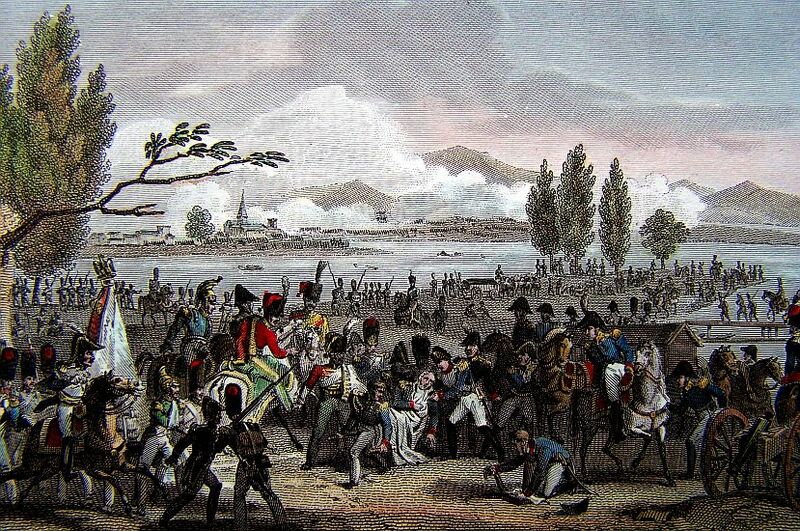 Commanding the Leman Department and the troops stationed in the Republic of Valais. 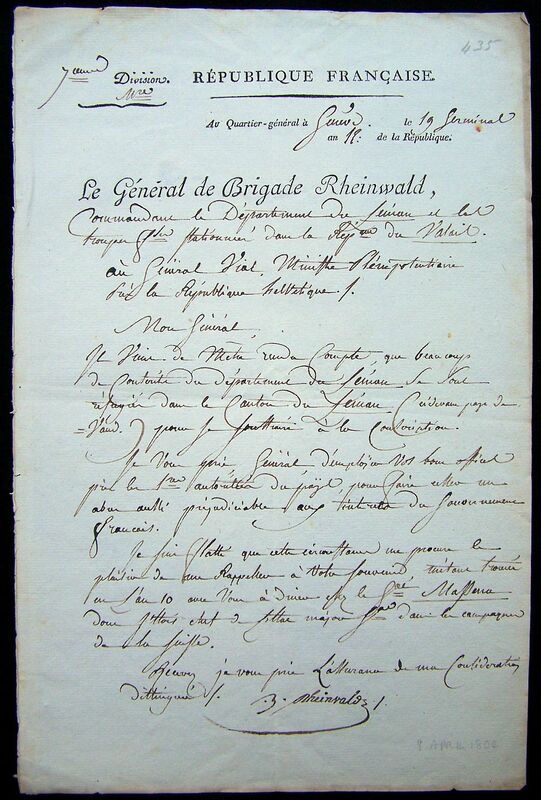 To General Vial, Plenipotentiary Minister by the Helvetic Republic. 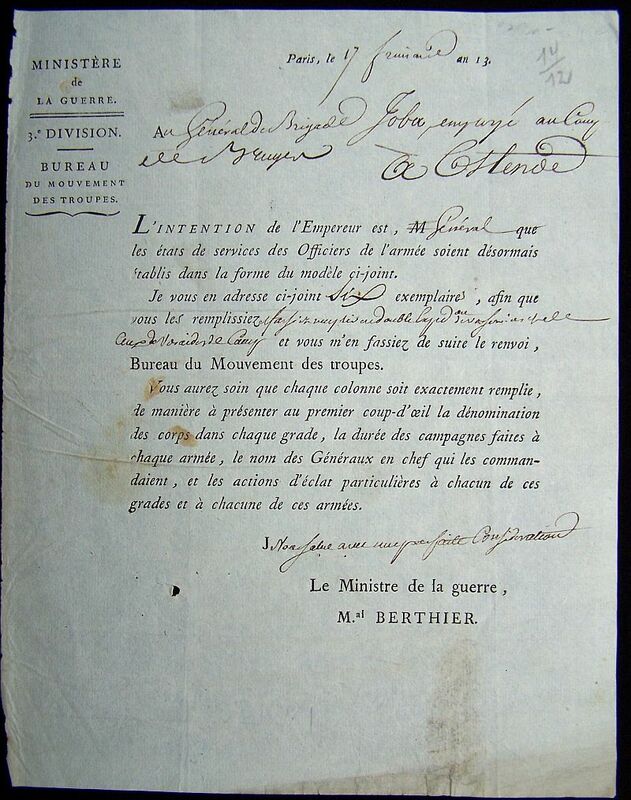 I have just realized, that many conscripts from the Department of Leman have taken shelter in the Canton in Leman(in the Pays de Vaud), to abscond from conscription. 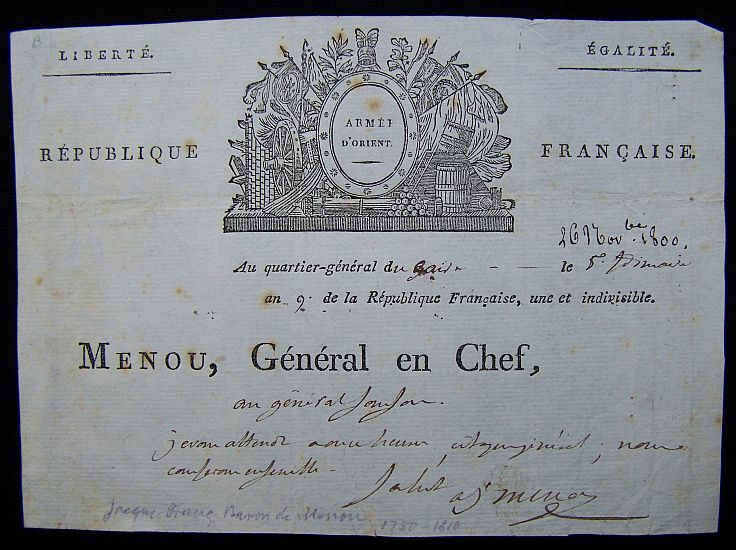 I pledge you, General, to employ yourself for the….. of the project, to stop that abuse, detrimental to the interest of the French Government. 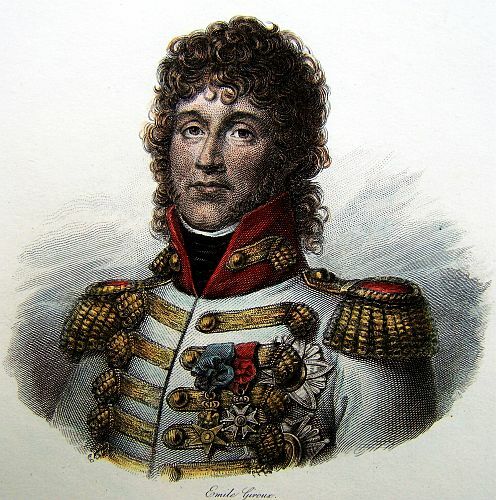 I am flattered that this circumstance allows me to remind you of me, having found myself in year 10 with you at ……, at General Massena’s, whose Chef d’Etat Major General I was in the Swiss campaign. 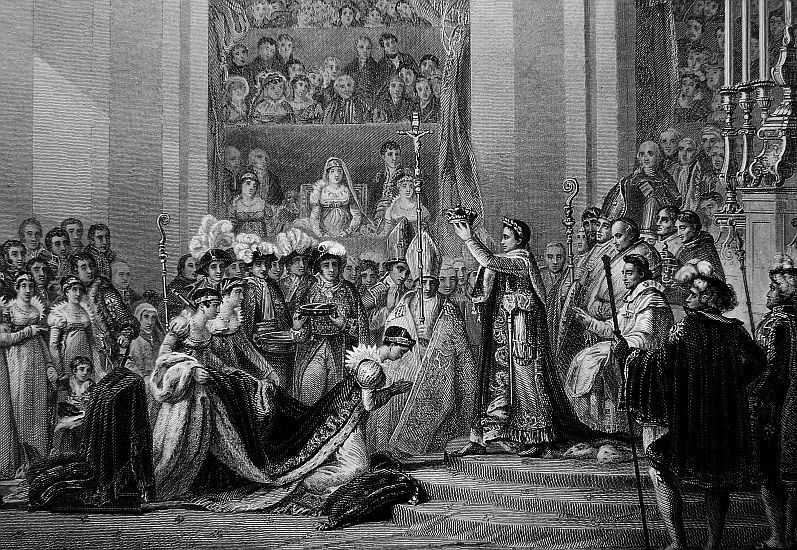 Please receive the assurance of my distinguished consideration. 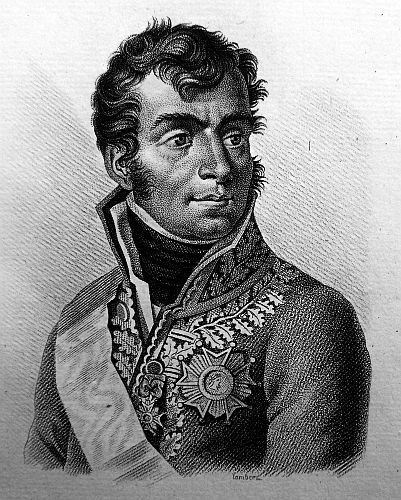 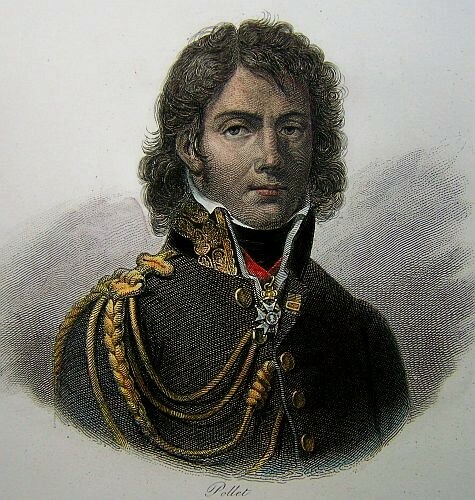 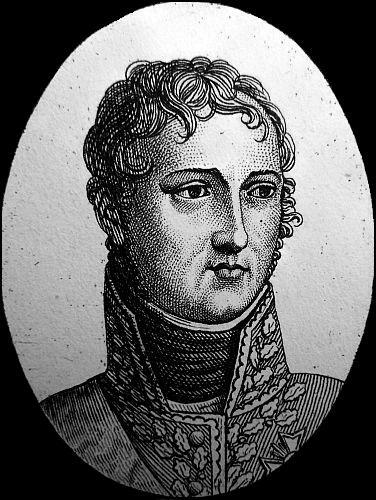 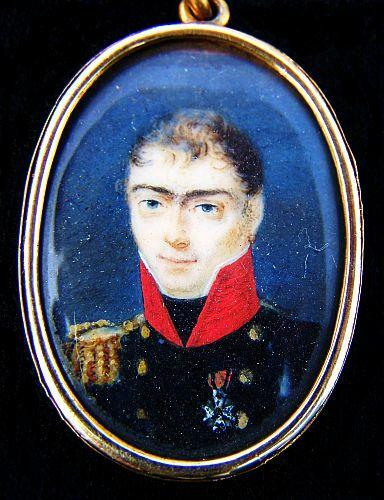 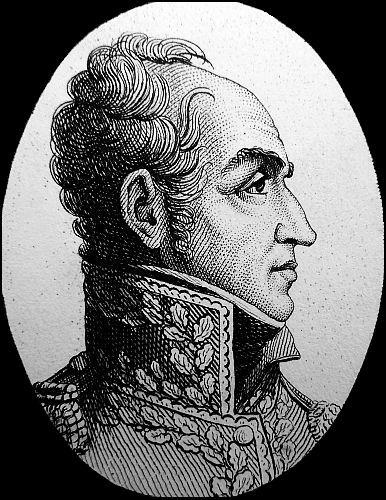 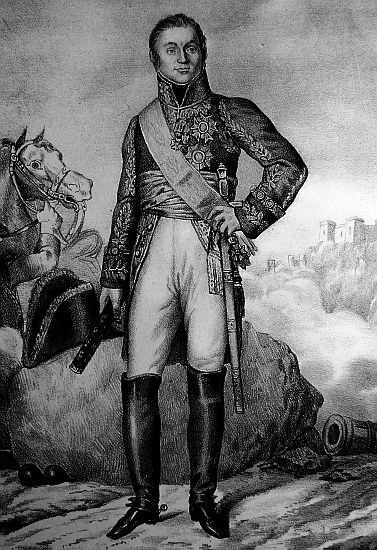 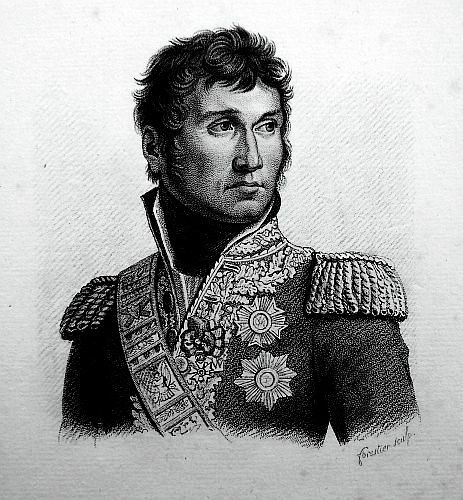 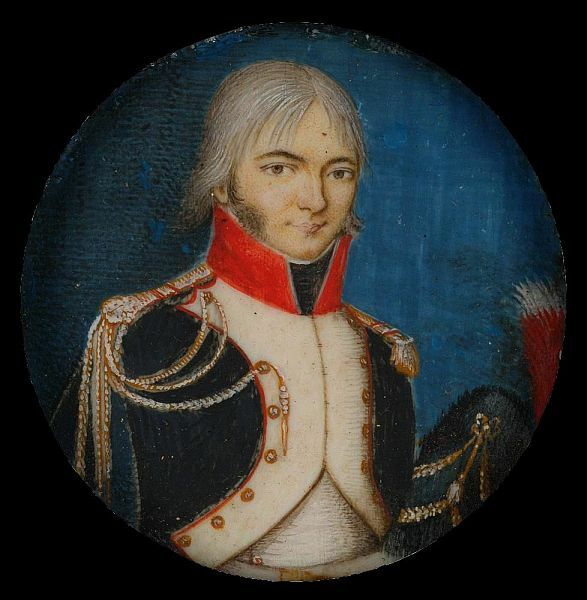 note: The portrait of French Dragoon Lieutenant Ughetti d’Avuglione was painted in 1800.
note: This is a miniature portrait on ivory of a French officer wearing the medal of Malta.